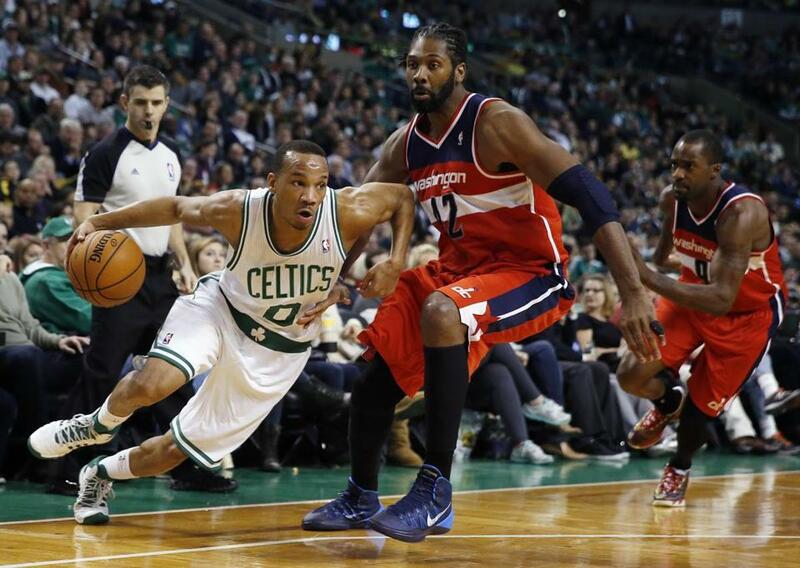 Defensive stalwart Avery Bradley is averaging 16.1 points in 10 December games. WALTHAM — Avery Bradley’s defensive reputation casts a mighty shadow over every other aspect of his game. It’s unlikely that will change, which is really a nod to just how effective he is as one of the NBA’s most elite perimeter defenders. As such, Bradley is often tasked with guarding an opposing team’s top perimeter scorer, which means the Celtics guard has the unenviable chore of trying to shut down one of the league’s most dynamic players Saturday at TD Garden: Cleveland’s all-everything guard Kyrie Irving. For the Celtics (12-17) to snap a three-game losing streak, Bradley will probably need some help defending Irving, who is averaging 22.1 points and 6.1 assists and is coming off a 40-point performance in the Cavaliers’ double-overtime loss to Atlanta on Thursday. Typically, defense would be Bradley’s sole focus, but this season, he has emerged as one of the Celtics’ top scorers, which has raised eyebrows because offense hasn’t really been his bread and butter. The fourth-year guard is averaging 13.9 points per game — the third-most on the Celtics — on 46 percent shooting from the floor. Yet it’s his recent production that is grabbing headlines. Through 10 games this month, he’s averaging a team-high 16.1 points while shooting a blistering 51 percent from the floor. That includes a 26-point game against Washington on Dec. 21. Even more impressive, Bradley is shooting an absurd 57 percent from 3-point range this month, making 20 of 35 from beyond the arc, with 18 of those long-distance connections coming from the corners — his sweet spot. Bradley has also been aggressive early, averaging 7 points in the first quarter — or nearly half his output per game this month. Bradley’s impact this month becomes more impressive when one takes a glance at the team’s advanced statistics. When Bradley has been on the floor in December, the Celtics own an offensive rating (points per 100 possessions) of 109.2, the best mark on the team. When he is on the bench, that number nose-dives to 93.2, the worst mark. His offense has ramped up, but his defense hasn’t suffered. This month, the Celtics’ defensive rating is 103.4 with Bradley; that figure is about one point higher when he’s sidelined. “He plays both ends, and that’s what sets him apart from a lot of people,” Green said. No doubt, Bradley’s offensive game is blossoming, but it didn’t look that way when the season started. Then, he was playing point guard to fill in for Rajon Rondo, who is sidelined while recovering from knee surgery. The position overwhelmed Bradley, and he struggled, especially with turnovers. But after four games, Stevens moved Jordan Crawford to the point and Bradley to shooting guard. The move was a stroke of genius, as Crawford has flourished in his new role and Bradley has in his, too. “He’s comfortable in his role and clearly understands what he’s supposed to do, where he’s supposed to be, how he can best pick his spots,” Stevens said. Crawford agreed that Bradley has become more comfortable, and Crawford noted how Bradley has become more adept at catching the ball on the wing, then taking one or two dribbles toward the basket before pulling up for a mid-range jump shot, usually from around the elbow — one of his sweet spots. Bradley’s consistency at making those mid-range jumpers and corner 3-pointers has complemented his slash-to-the rim skills on offense, making him a more versatile threat. “He does those things exceptionally well where it’s hard to guard it . . . even if you see it on tape,” Crawford said. Stevens said that Bradley has become more of an offensive threat than at any point in his career, an undeniable truth even if Bradley is only in his fourth NBA season. What excites Stevens most is that there is still plenty of room for Bradley to improve on offense. It has added another element to the Celtics’ offense, too. “It just opens up the floor for everybody else,” Green said. But for Bradley, it still starts with defense. Bradley’s offense may catch up to his defense at some point, but if this past month is any indication, he’s already on his way to becoming one of the most complete players in the NBA.